Coffee is wonderful! 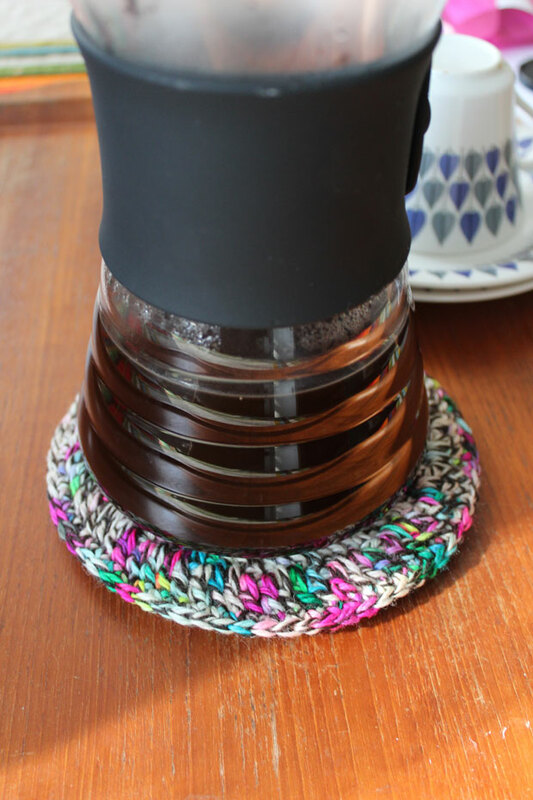 So I had to crochet a cool trivet to go with my hipster Coffee Drip Decanter from Hario. I'm not a fan of multicolored wool but I think this skein was awesome. 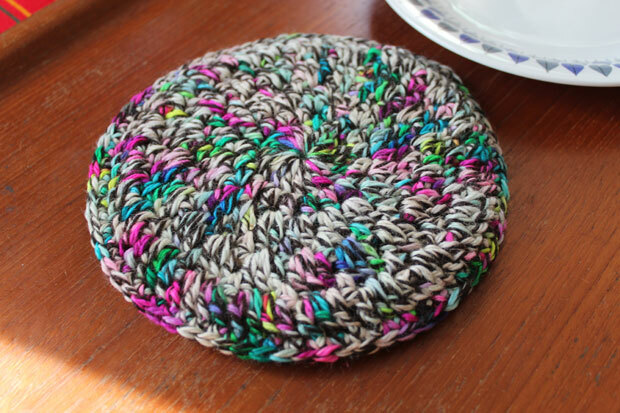 My experience of working with multicolored wool have thought me that simplicity is the key. Don't make any fancy patterns as the details will be lost and outshone by all the colors. 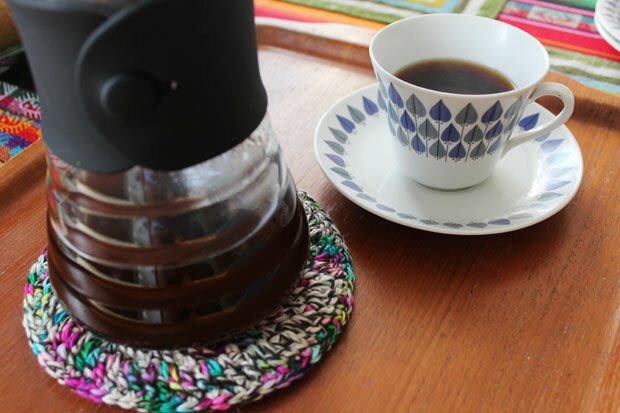 In this case less is definitely more and that is the reason why I have only used trebles for this trivet. To make an easy crochet trivet for yourself just crochet two circles, roughly the same size, and crochet them together with Double Crochet (UK) / Single Crochet (US). This way it will be thick enough for there to be no condensation under the coffee/tea-pot. Thanks Ameskeria. I'm glad that you like it. I like it, nice to find another fella who crochets, although I have to say your pieces are far more accomplished than anything I have created to date. Still its early days on the road to yarn engineering excellence and knowing I am not alone on the male front is a boost. Hopefully the Memsahib will become more accepting as I discover more men who crochet. Mellie Moo - simple things are great, most often they are quick as well. Boneston nice to hear from another crochet bloke. It is great that you have started your journey onto the road to yarn engineering excellence! Most import thing is that you are enjoying yourself. All the best!